The Toric IOL’s can result in marked reduction of astigmatism and therefore a high likelihood of spectacle freedom for distance vision. However, one must be able to correctly identify the intended meridians for the incision and axis alignment in order to achieve success. 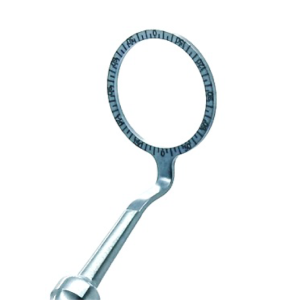 Marking the incisional and desired axis of IOL alignment can be accomplished using the Cionni Toric Axis Marker (ref:9-841). The line on the top portion of the marker is rotated to set the blades to the desired meridian for the incision or IOL axis. The two blades on the underside of the Axis Marker are then coated with a marking pen and the limbus dried with a sponge. The Axis Marker is then positioned over the eye, lining up the holes at the horizontal and vertical meridians with the previously made limbal reference marks. The Axis Marker is then lowered to touch the eye so that the blades make the desired marks on the limbus. 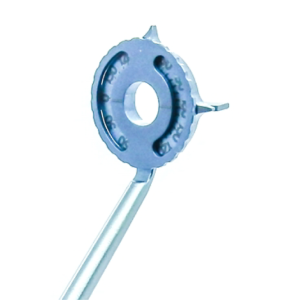 The Cionni Axis Marker 9-841 creates marks at the limbus away from the marks of the IOL. Only one instrument is required to align and create the marks. 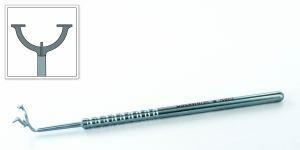 The maximum diameter of the head of the gauge is 18mm. 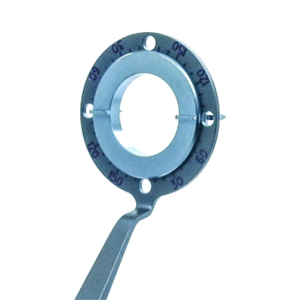 Designed for surgeons familiar with placing a 2 blade axis markers inside a Mendez gauge. The 2 blades on the Barrett Toric Maker are fixed and the degree gauge scale rotates, so the surgeon relates the blade orientation to the handle. First, the degree gauge is rotated, lining up the desired meridian for the IOL axis to the lines on the edge of the marker. The two blades on the underside of the Axis Marker are then coated with a marking pen and the limbus dried with a sponge. The Axis Marker is then positioned over the eye, rotating the handle to line up the lines at 0 degrees on the degree gauge with the horizontal meridians previously made by the reference marker. The Axis Marker is then lowered to touch the eye so that the blades make the desired marks on the limbus. The R J Mackool™ Toric Axis Marker features an easier to operate pre-settable dial. This permits the technician, operating room nurse or surgeon to precisely set the instrument dial within seconds, as opposed to the cumbersome alternative of turning the instrument over to view the marking blades on the bottom of the instrument, while simultaneously attempting to grasp and align them with the gauge on the top of the instrument. A unique blade design retains dye, permitting the cornea to be marked with the lightest of touch, and all blades extend 1 mm from the diminutive dial where they are easily observed during the corneal marking. 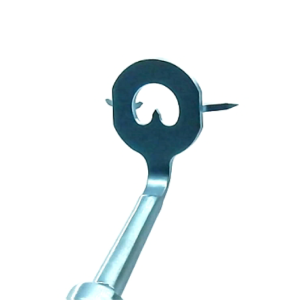 The rounded edges of the marking blades prevent abrasion to the cornea during the marking manoeuvre, and their extension well beyond the diminutive central portion of the marker permits the surgeon to see the blades as they are placed at the preselected meridian. The dual marker allows for compensation and marking of the ‘true’ horizontal, as determined by the toriCAM® app. The app provides an accurate reference for toric IOL implantation and orientation. The marker has two dials, an outer to align with the reference axis provided by the app and an inner connected to the marking blades on the underside to mark the recommended toric axis provided by the Toric Calculator. The outer dial is designed to compensate for any inaccuracies in the horizontal axis marks made on the eye. At each 90 degree point on the dial there are pointers on the outer edge which are aligned with the horizontal corneal limbal marks indicating the estimated horizontal axis. 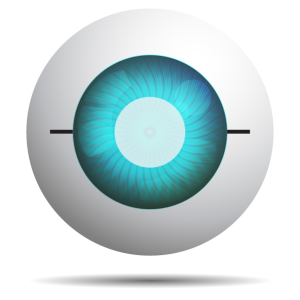 The toriCAM® app, available from the app store on itunes, enables the measurement of the angle of the horizontal axis marks made on the eye. The app will then determine and display the actual angle of the marked reference axis and the data will be saved and displayed on the phone with the patient’s name and date. The outer dial is then set to this angle to compensate for any inaccuracy of the marks made on the eye. 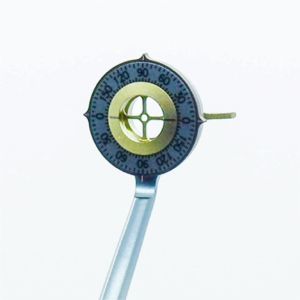 The inner dial is set to the axis required for the correct alignment of the toric lens and the marker is then used to mark the cornea with the correct axis to implant and align a toric lens.